“The Incredible Shrinking Retail Chain”: As Major Retail Names Close Stores, What Lessons Can We Take? The shuttering of all of Radio Shack’s remaining stores has prompted various responses. 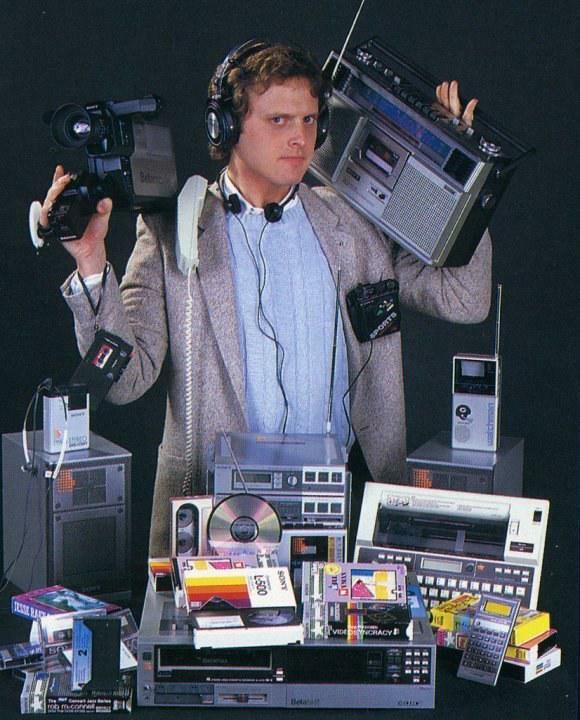 For older consumers who remember visiting the stores for the latest Walkman or boom box, a sad sense of nostalgia reigns. But for retail observers, the bankruptcy of Radio Shack is a sign of the times, reflecting not just how retailing has developed but also where it appears likely to go. Along with the demise of Radio Shack, we might point to the anticipated purchase of Office Depot by Staples, which will leave just one major retail source in the office supply market. JCPenney continues to struggle, and even Walmart has posted several quarters of stagnant or negative growth. Perhaps even more worrisome, whereas employment rates overall have largely rebounded from the lows reached during the global economic recession, that trend has not applied to retail jobs. Specifically, since the recession, 2.4 million new jobs have expanded the private sector, but the retail sector instead has contracted by approximately 60,000 jobs. Thus, whereas retail largely drove the national economy in the twentieth century, it appears unlikely to do so in the twenty-first. Most of those job losses appear concentrated in a few retail venues. For example, department stores, electronics retailers, and office supply stores have cut back drastically on their hiring. 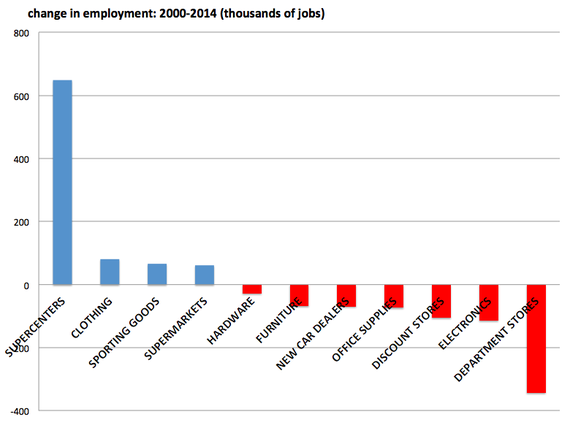 But supercenters (e.g., Costco), sporting goods retailers, and supermarkets have even increased their job ranks. According to some observers, these trends suggest the effects of an exclusive focus on efficiency, at the cost of any other factor. For example, as Radio Shack sought to cut costs to ensure its continued survival, it cut back on jobs, which meant that its stores were understaffed and thus not as enjoyable as they might have been in the past. Why are some retail sectors losing jobs, while others are adding them? What factors explain these different trends?